Vancouver Theatre is alive and well. With venues like the wonderful Queen Elizabeth Theatre, the Orpheum, Vancouver Playhouse, and The Centre for Performing Arts in Vancouver, visitors to this lively center are presented with many live arts options all year long. Each venue has its own unique history as well as its own specialties. 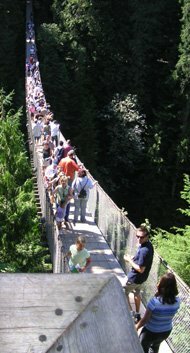 Your cultural preferences will largely determine which theatre you visit during your trip to Vancouver. 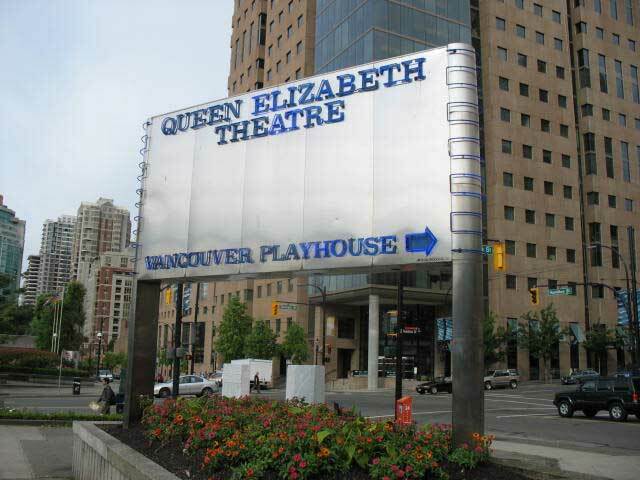 Built in 1959, the glass-fronted Queen Elizabeth Theatre is one of the most beautiful buildings in Vancouver. The auditorium is classic yet contemporary, boasting a 70-foot-wide arched stage that accommodates many different kinds of performances. The theatre boasts 2,700 seats and plans are currently underway to add improvements to the Queen Elizabeth, including more advanced acoustics. 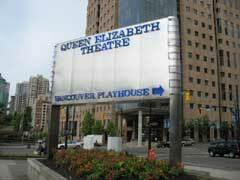 Queen Elizabeth Theatre is home to the Vancouver Opera Company and Ballet British Columbia. In addition, the theatre plays host to everything from Broadway-style musicals to pop and rock concerts... a popular venue in Vancouver theatre. Built in 1927 as a vaudeville house, the Orpheum Theatre was once known as the largest and most elegant theatre on the Pacific Coast. With seating for nearly 2,800 audience members, this incredible venue has hosted many amazing personalities through the years. In the 40's and 50's it was also a major motion picture house. 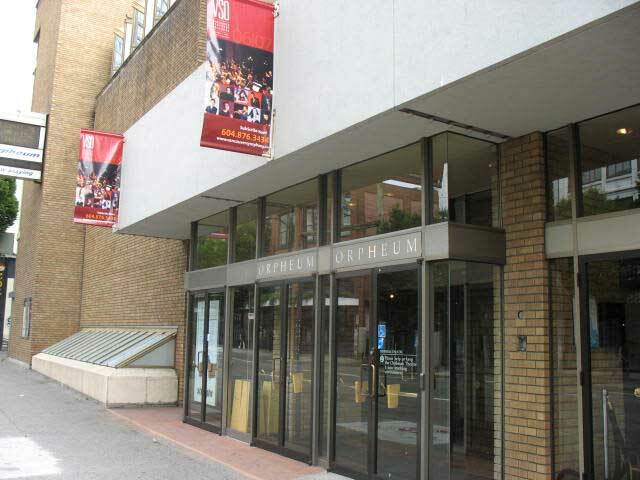 Purchased by the city in 1974 and totally renovated at that time, the Orpheum is now the home base for the Vancouver Symphony Orchestra, a top-notch ensemble that presents everything from fun children’s concerts to classical masterpieces. 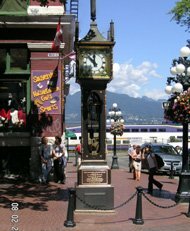 Public tours of this historic Vancouver theatre are offered on particular days during the summer months and private tours for groups may be arranged by contacting the theatre. The smallest of the civic theatres, the Vancouver Playhouse seats about 700 and is the perfect place for intimate concerts or theatrical performances. It’s the permanent home of the Vancouver Playhouse Theatre Company, Friends of Chamber Music and Vancouver Recital Society. 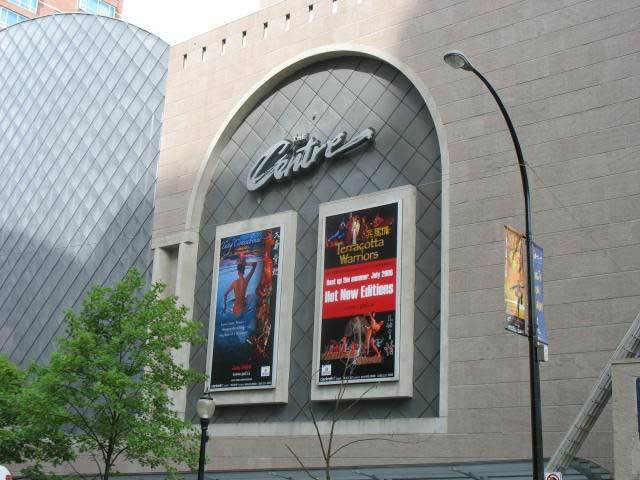 The newest arts venue in Vancouver, the Centre for Performing Arts was built in 1995 and was originally known as the Ford Centre for Performing Arts. This eye-catching, contemporary structure was designed by well-known Canadian architect Moshe Safdie and has become quite a famous landmark in the city of Vancouver. The Centre produced some of the biggest hits of Broadway during its early years, treating visitors and residents to great New York-style theatre on the Pacific coast. 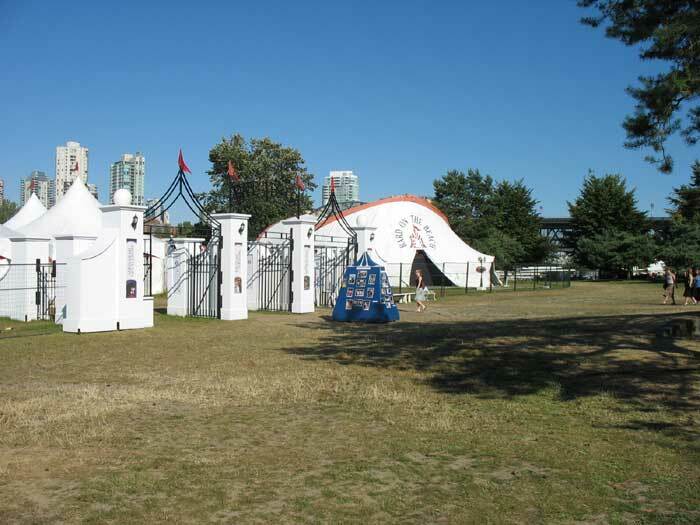 Today, the Centre for Performing Arts stages classic and contemporary theatre and hosts many international events and concerts, particular those which cater to the large Asian population of Vancouver. This 1,800 seat theatre is conveniently located near busy Robson Street and just a few blocks from the Skytrain station. The 520-seat Mainstage tent offers two productions from early June through late September. 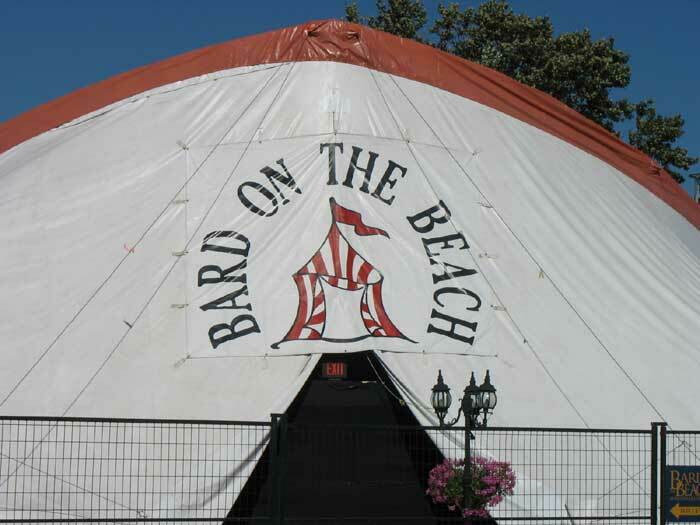 The Mainstage tent is open-ended so that the actors perform against a spectacular backdrop of mountains, sea and sky - a highlight of the Bard experience. Reserved seating has been established to replace the long wait-in-line entrance. 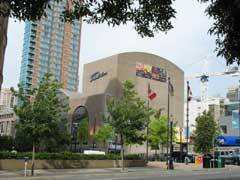 The Douglas Campbell Studio Stage tent seats 240 and runs from the end of June through September. This intimate performance space features Shakespeare's lesser-known plays or some of his great classics presented with less traditional stagings. 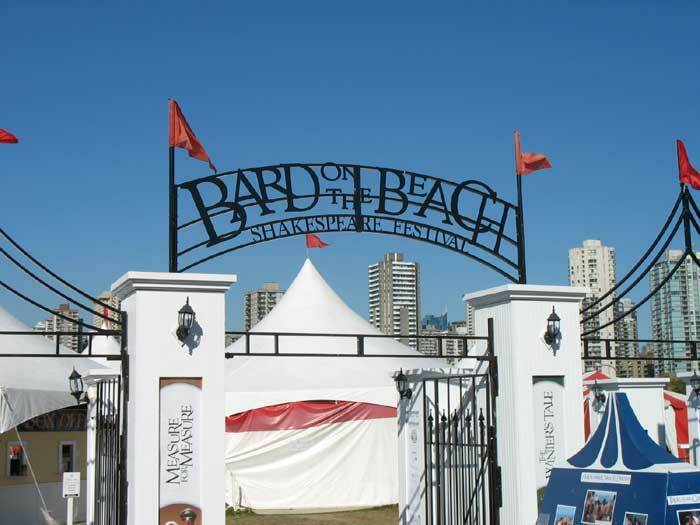 "Bard-B-Q and Fireworks": July 30, August 3 & 6, 6 p.m. - a play and BBQ followed by "Celebration of Light" featuring a scrumptious buffet, and a phenomenal view of the fireworks display. 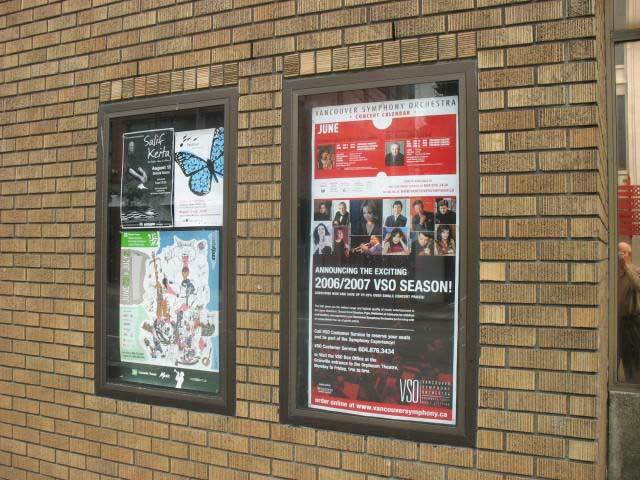 Vancouver Theatre is well publicized. All the theatres have convenient websites where you can check performance schedules before you arrive, or you can pick up the Vancouver Sun or The Province and browse through their Arts section for a look at upcoming productions. 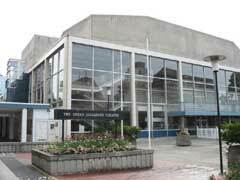 Tickets for the Centre for Performing Arts may be ordered online. Copyright ©2005-12 Abbey World Media, Inc.